Our Free Intro class is a small setting class that will give you a taste of CrossFit, our gym and how everything works at CrossFit 5410. The Intro class is a stress free class that will include stretching, time to learn a new skill and include a short workout. The three session fundamentals course is where you will learn about specific movements, healthy habits, and will prepare you for group classes. 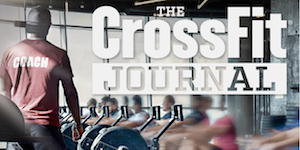 Over the three classes you will become more acquainted with the gym and coaches, learning about CrossFit and some of its movements. Fundamentals looks and feels just like our regular CrossFit Group classes but in a no pressure setting with others just starting out on their health and fitness journey. Call or email to reserve your spot in a three day fundamentals courses. Rate: $15 ($25 with t-shirt) Please contact us to let us know when you will be joining CrossFit 5410. Drop-ins are CrossFit athletes with at least 3 months experience.